Warning: Spoilers ahead for Batman Incorporated #8 and the near future of the Batman family of books. Chris Burnham, the penciller on Batman Incorporated, is glad to finally get the weight of this morning's big spoiler off his chest, and says that the spoiler in question is meant to be permanent. "I hope his death will inspire creators to come up with more bold new characters rather than crawl back to the well one more time," Burnham told Newsarama earlier today. 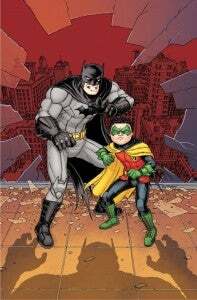 "As far I'm concerned, Damian Wayne is as dead as Thomas and Martha." I still have Grant's original outline for Batman Inc: Season 2 on my desktop, dated from April 13, 2011. So I've known for almost two years! Even way back in #6 of the first volume, I knew what was going to happen. So Bruce's line "And no. Not everyone is going to survive it" had extra significance for me. And will for you when you go back and reread it. Now that I think about it, I guess I have never drawn Damian without the knowledge of his final fate. Ominous! For the most part I tried to concentrate on nailing whatever scene I was drawing rather than worrying about telegraphing the future. But in the new issue #6 when he meets Alfred the cat, I realized that I was probably drawing him with a smile for the first and last time. That was rough. I spent forever trying to get that smile just right. I was sad when I found out about it, but it all seemed vague and impossible. And there was every chance that I would get fired long before it came time to draw the fateful issue! In the last few months I've tried to have fun with him while he lasted. He's by far my favorite character to draw in the book... 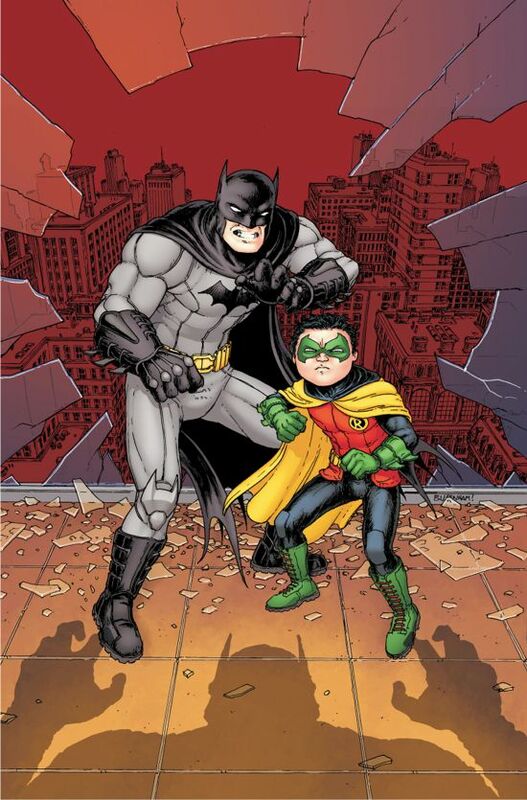 I may have to start drawing Batman 5 heads tall and let the chips fall where they may! 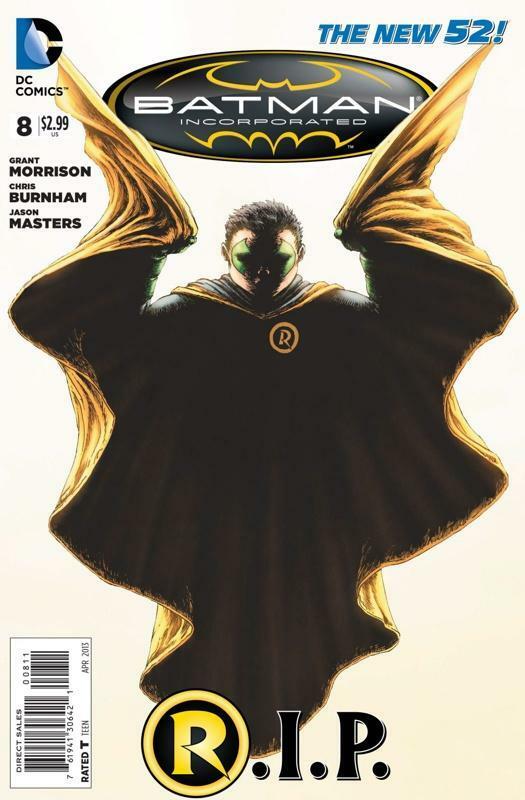 While obviously it's easy to be cynical about comic book deaths, and it's not unlikely we'll see Damian again sooner than later, there's one thing to be taken away from this: unless Burnham is lying outright (probably not likely), there's no reason to believe that the character will be revived via the Lazarus Pit next month, a popular fan theory ever since rumors started swirling that Damian would die.